I so want to read this book because I know it will be well written and honest. Bob Woodward's new book -- "Fear: Trump in the White House" -- exploded onto the political scene on Tuesday morning. It included anecdotes like: President Donald Trump's aides purposely keeping information from him in order to protect the country; a failed mock-interview in preparation for a potential sit-down with special counsel Robert Mueller over Russia; and Trump lashing out at aides, most notably Jeff Sessions, referring to his attorney general as "mentally retarded." But what's truly worrisome for President Trump and his administration is that the portrait Woodward paints of a chaotic, dysfunctional, ill-prepared White House is all strangely familiar. It's the same vision of the White House that Michael Wolff wrote way back in January in "Fire and Fury." It's the same picture that Omarosa Manigault-Newman constructed in her memoir of her year in the White House. It's the same story that White House reporters at CNN, The New York Times, The Washington Post, The Wall Street Journal and virtually every other mainstream media outlet has told of the Trump White House. But how could all -- and I mean all -- of the reporting on this White House reach a striking similar conclusion? The portraits of Trump drawn by Wolff, Omarosa and Woodward are all eerily similar to one another -- a man hopelessly out of his depth in the job, but entirely incapable of understanding how desperately out of depth he actually is. A man motivated almost entirely by personal grievance. A man willing to humiliate people who work for him, to play staffers against one another, to scapegoat underlings to keep blame off of himself. Someone who has so much self-belief that he rarely adequately prepares for situations involving international diplomacy and national security. Top aides who view that their jobs are primarily keeping Trump from causing serious harm, and grousing every step of the way about the man. 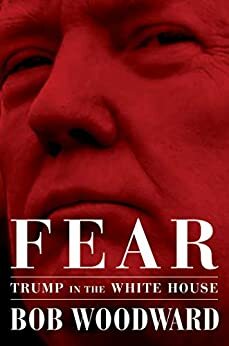 And now Bob Woodward -- without question the preeminent political reporter and chronicler of the White House in the last four decades -- has written a book that confirms every bit of the portrayals we've seen about who Trump is, who he surrounds himself and how he conducts his business. The consistency in those storylines is virtually impossible to explain in any other way than this: It's true. To believe otherwise, you have to convince yourself that not only the entire daily media but also the likes of Wolff and Woodward all got together and agreed on how to portray Trump across tweets, stories and books. Which is, of course, beyond ridiculous. The Point: What Woodward's book does is confirm all of the negative stories we've already heard about Trump and his administration. This isn't the work of a reporter with credibility problems or a press-loving former aide. This is the story. This is the President and how he really acts and thinks. It would probably be better suited in another category. Obviously, your understanding is better than mine. I apologize. Thing about Woodward is he is respected and well sourced but basically reiterates the two previous tell all books' message that trump is an idiot. Woodward is a political hack, trying his best to stay relevant years after his one big story. The book needs to be in the fiction section of book stores and most of it is sourced by unnamed anonymous people. Worse, the key Trump administration people Woodward tells stories about deny his tales on the record. But hey, Resistance hate takes away the ability to reason logically, this book of lies and smears is no exception. no. sources are named and in some cases he has a tape to back them up. he's been a relevant writer all along. you're thinking of amarossa and that other guy. but although they say it in a crasser way, all 3 stories paint pretty much the picture we all thought existed inside this admin. No. Woodwards book has been denied in particulars. What he has, by his own admission, is third party statements (which should never have been used) or he is just making stuff up. Like Woodward you are making things up. For all these books, including the new one on Trump, Woodward conducts hundreds of hours of interviews with sources from the administration (or who are close to people in the administration). But his sourcing is what’s known as “deep background,” meaning he’ll often use the information he was provided but not say where it’s coming from, even vaguely. You make falsehoods up so often it's hard to believe it is anything but deception. Among gossip columnist Woodward's most salacious tales. All have been denied by the primary sources on the record. So, it's Woodward's so-called deep background sources, gossip, verses the explicit statements of the primary actors. But just like the dirty dossier anything that denigrates Trump is automatically accepted as truth by the Resistance.